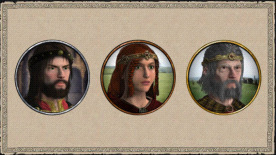 Enhance your Crusader Kings II Experience with the Celtic Portraits pack. Celtic Portraits adds thousands of unique face combinations for male and female characters of the Celtic cultures. This including Irish, Scottish, Welsh and Breton characters.